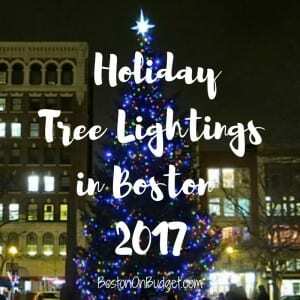 There are so many Holiday and Christmas Tree Lightings in Boston for the 2017 Holiday season! This is a fun (and free) way to get into the holiday spirit! Trellis Lighting Ceremony: Monday, November 20, 2017 at Christopher Columbus Park at 5pm. Watch the park’s trellis light up blue and white for the holiday season! Macy’s Great Tree Lighting: Friday, November 24, 2017 at Macy’s Downtown Crossing. Enjoy free live performances, holiday cheer and a free Christmas Tree lighting at 5PM! The Charles Hotel Tree Lighting Event: Saturday, November 25, 2017 from 4-6:30pm. Enjoy holiday music, a visit from Santa Claus and a tree lighting at 5:30pm. Free, but please bring new hats, gloves, and baby coats to donate to Cradles for Crayons. Roslindale Tree Lighting: Saturday, November 25, 2017 in Roslindale from 3-5PM. Enjoy this annual tree lighting in Roslindale with holiday music, Santa, and much more! Copley Square Tree Lighting Festivities: Monday, November 27, 2017 at Copley Square from 5-6pm. Get into the holiday spirit with holiday music, a visit from Santa and the lighting of the Copley Square Tree! Faneuil Hall Tree Lighting Spectacular: Tuesday, November 28, 20167 at 7:30PM. Enjoy the tree lighting of the largest Christmas Tree of the Northeast and the kickoff of Blink!, a 5-week holiday light display. (It will also be on WBZ-TV if you can’t make it). Frog Pond Skating Spectacular and Tree Lighting: Thursday, November 30, 2017 at Boston Common Frog Pond from 5-6pm. Enjoy a free ice skating show from The Skating Club of Boston then a tree lighting ceremony! First Light Brookline: Thursday, November 30, 2017 in Brookline from 5-8pm. Enjoy music, events, and fun around town! Mayor’s Enchanted Trolley Tour and Tree Lighting: December 1-3, 2017 in neighborhoods across the city. Mayor Walsh will be lighting Christmas trees and bringing joy and presents to various neighborhoods in Boston. Light Up Seaport: Friday, December 1, 2017 in the Seaport District. Head to the Seaport for the first annual tree lighting with holiday music, treats, and more! Mayor’s Walsh’s Tree Lighting: Sunday, December 3, 2017 at 12pm at 800 West Broadway. Head to Medal of Honor Park in South Boston for some holiday fun with ponies, music, and holiday fun. Free. 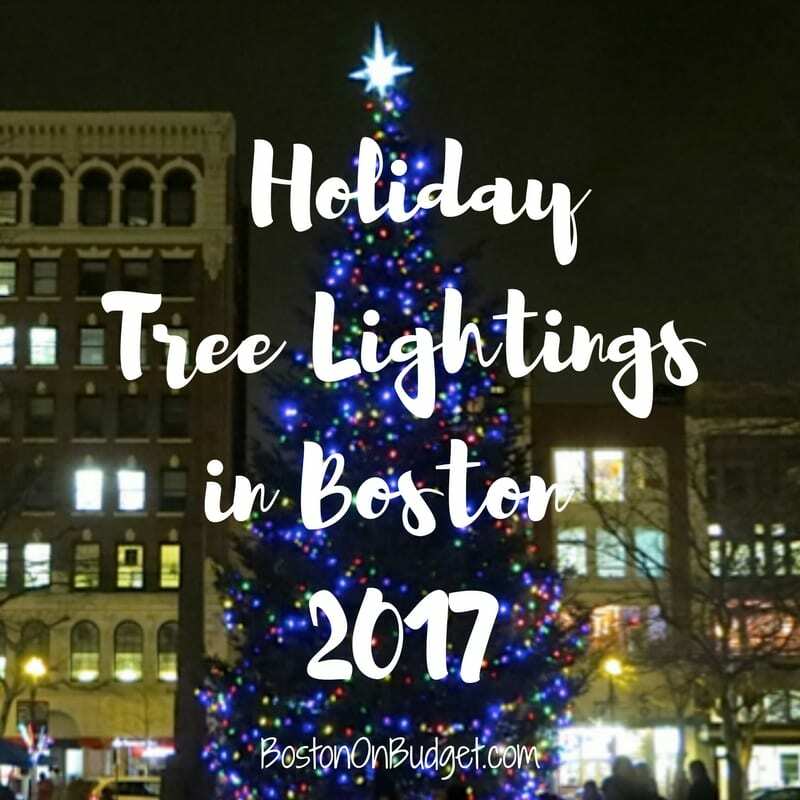 Did I miss any of your favorite Boston tree lighting celebrations? How do you like to spend the holidays and Christmas in Boston?